Objective 3: To obtain Plastic Free status Worcester needs to engage 30% of schools in the local area, Universities and Colleges, at least one community organisation, e.g. Scouts, Girl Guides, WI, etc., 50% of community spaces, e.g. village halls and places of worship and a flagship employer. Are you a member of one of the above? Would you like an educational talk on plastic, perhaps collaborate for a plastic themed meeting or get some tips on how to reduce single-use plastic as an organisation? Get in touch..
Have a look at this link for steps on how you can become a Plastic Free School and get in touch if you would like our support. 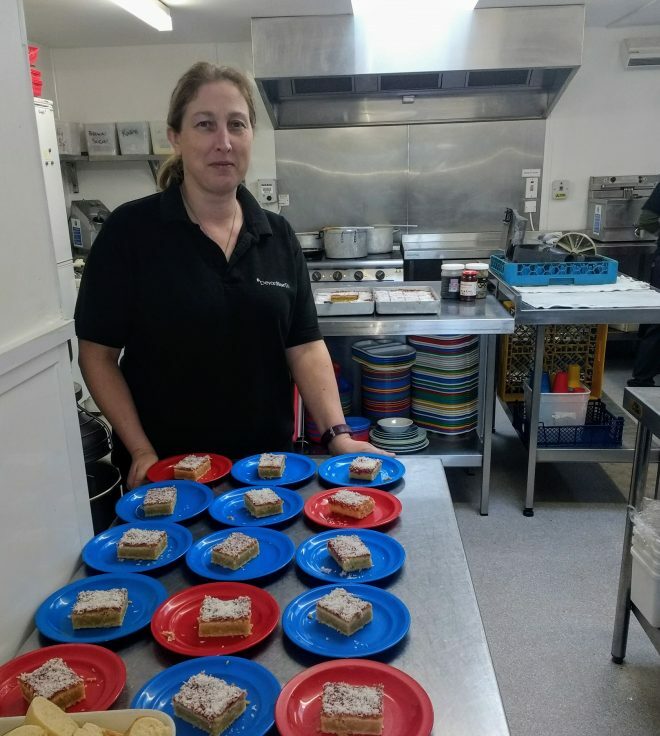 For an inspiring read here’s an article written by the catering manager of Georgeham Primary Schools, the first primary school in the UK to achieve Plastic Schools Status. Firstly, we looked at what plastics were in and around the school that weren’t necessary, and then we had to think of ways to replace them.The obvious ‘single use plastic’ are the straws attached to the cartons of milk that the government provide for our reception pupils. Every day the children in class one are given fresh milk in a 200ml non-recyclable carton, with a plastic straw attached to it in a plastic wrapper. The cartons themselves are also held together by plastic packaging! We have about twenty pupils in our reception class, this means there are 100 plastic cartons, 100 plastic straws, 100 plastic straw wrappers, and five lots of clear plastic packaging (cartons are wrapped in 20’s) that is created and thrown away by our school alone every single week. As at January 2011 there were 314 primary schools in Devon. If each of those schools had twenty reception pupils, each having a carton of milk every day. That equates to just over 1.9million items of single use plastic thrown away each week… And, that’s just in Devon. If you need to be wowed even more, that’s over 72million single use plastics being thrown away in Devon every school year!! !Clearly this needed to be addressed. It took just one phone call to our ‘Cool Milk’ supplier, and a conversation lasting less than five minutes. Now we have milk for our reception class delivered in 4pint (2litre) containers. All of which can be recycled. The reception class use beakers that are washed for re-use. And, any leftover milk is used for cooking in the school kitchen. Per week, that’s 305 single use plastics down to zero in one short phone call! Can we meet health & safety regulations while being Plastic-Free? Another area to be addressed was the amount of plastic film (cling film) used in the kitchen. The law requires us to cover every item of food to reduce the risk of contamination. The law also requires us to clearly label every item of food. So, if every item of food is clearly labelled, why does it need to have a clear/see through covering? Therefore, we have swapped our plastic film for foil. Foil is washable, and 100% recyclable.Some of the items that used a lot of plastic/cling wrap every day were the bowls of salads on the salad bar. At Georgeham we have ten salad items available every day. We have stopped using bowls for our salad display and now use lidded tubs that can be washed and re-used. But we didn’t buy new tubs. We simply used the 1kg containers that our frozen raspberries are delivered in. They stack well, they are clear, so the contents can be recognised easily, and they are free with every pack of raspberries bought!Another single use plastic we found very easy to replace were the individual sauce sachets used on fish & chip day. We offered a variety of sauces (barbeque, ketchup, vinegar, mayonnaise) each in its own 5g packet. Georgeham School has just over 100 pupils, and on Fridays we can do 90+ plates of fish & chips. Each child usually has vinegar and ketchup. That equates to 200 sauce sachets being thrown away every Friday. With the aid of a couple of pump action attachments for the sauce bottles, and a pump spray bottle for the vinegar, we have not only reduced, but completely eradicated the need for single use plastics on any day that requires ketchup. Another way we could save on plastic on Fridays was to cease using individually packed ice-creams and smoothies for the children. Rather than individual non-recyclable 80ml polystyrene tubs of ice-cream with non-recyclable plastic lids, we now offer ice-cream in the form of Arctic Rolls. These are delivered in clear plastic tubes, which are recyclable. They are portioned and put on a re-usable plate. In the same way as 5ltr tubs of ice-cream can be portioned in the kitchen put in re-usable bowls, and the tub either, put out for recycling or re-used in the kitchen for a whole host of things.However, the real challenge was overcoming the plastic waste that ingredients are delivered in, i.e. sugar, frozen fruit, frozen vegetables, dried fruit, even our frozen chips (which are delivered in a box) has lots of plastic packaging inside!